iAnnounce Ltd. is Europe’s leading service provider for family announcements, and is already the market leader in Germany. In Europe up until now 4,6 million family announcements have been posted online for around 500 newspapers – with that number increasing by a million each year. 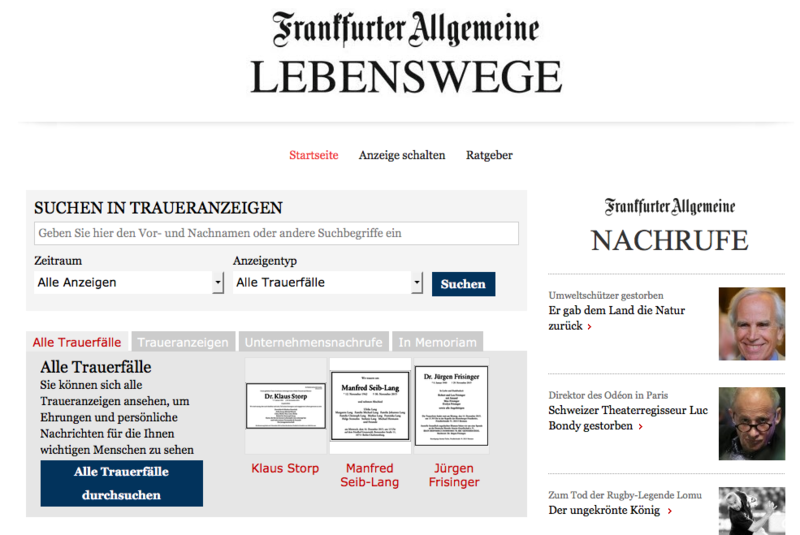 In Germany in 2012 over 200,000 family announcements have been posted in the portals of the various newspaper clients. 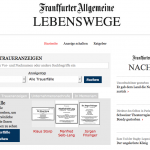 The life cycles of the print editions are extended in the internet and a number of interactive functions added, so that each edition becomes in effect a mini-website. In this way a valuable print-online combination, for which the publisher can invoice its clients, can be created. These portals exist in the internet with the look and feel of the publisher and under its logo, and are known as white label portals. Through these means the publisher can hugely increase its range of services without having to take on the costs of setting up such a portal and without being burdened with the further costs of running and updating it. The PI’s and visits flow into the IVW statistics of the partner publisher. The advertising space is also at its disposal. User activities are moderated, with the effect that all user entries are read and checked BEFORE they go online. In iAnnounce’s view this is an absolute must for the especially sensitive area of family announcements, in order to protect the advertisers, the users and not least the paper and its brand. Monitoring is carried out by human agency (native German-speaking), since both computers and non-native speakers can easily be confused, since „the best news of the year“ for example, placed next to an obituary, would not appear to a computer to be inappropriate. All articels that relate to iAnnounce can be found here.